When I look back on 2013, I will think of it as the year of construction. In 2012 Horizons was awarded a $1.27 million grant from HUD to build an 8 unit apartment building to provide supportive housing for 7 clients. We broke ground in June 2013 and took possession of an amazing new apartment building on March 5, 2014. It opened as a licensed, 7 bed group home on April 26th. 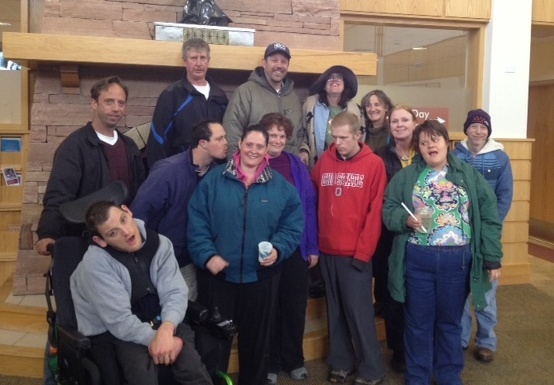 Fourteen employees were trained in Person Centered Thinking in Glenwood Springs in October. Ten more will be trained in Montrose in August. We are maintaining financial sustainability by limiting growth in agency expenses and increasing revenue. We developed systems to maximize our use of the funding hierarchy for Early Intervention services. 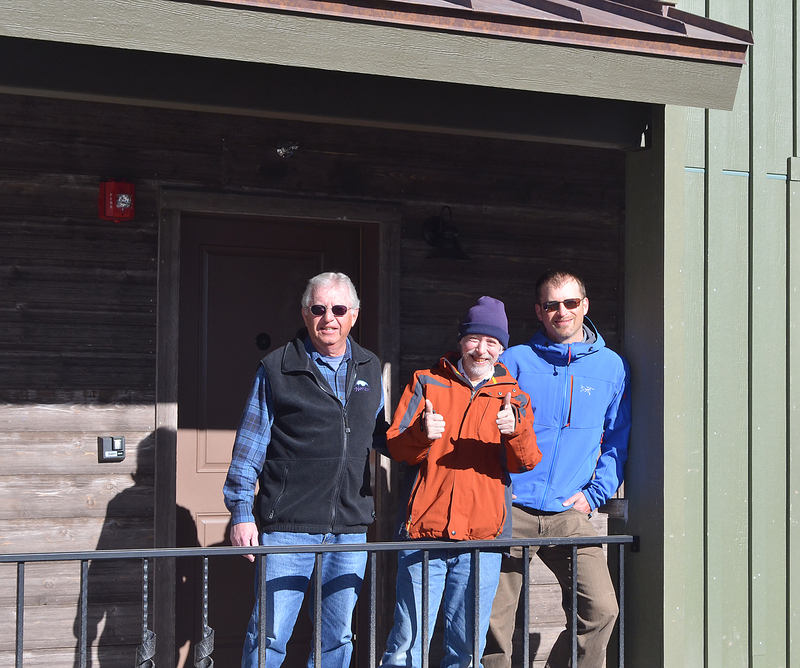 Nine individuals are being served in an SLS model using Routt County mill levy funds. Two new individuals were enrolled in CES. This was a major accomplishment since we did not previously offer CES services. Horizons is utilizing more strategies for promoting local service options such as events (Little Points of Light Home Tour in Rio Blanco County to promote Early Intervention; Pick a Dish in Craig to promote vocational opportunities for adults) and new awareness activities (Light it Up Blue in collaboration with the Yampa Valley Autism Program; Disability Awareness in the schools). We have 20 one to one mentors for the adults in our programs. These partnerships do a variety of things: attend fundraisers for other non-profits, go skiing, go out for coffee, go for walks, go out for meals, and go to local restaurants for Happy Hour. Cathryn Marie, who works in our residential program in Steamboat Springs, was honored as the Direct Support Professional of the Year by Alliance at Awareness Day at the Capitol. The president of the board of directors is a liaison between the Grand County Advisory Board and Horizons’ board. A meeting of the GCAB served as our public forum on January 21, 2014. We are maintaining our collaborations with Aging Well and the Council on Aging. We work closely with Behavior Services of the Rockies and with Mindsprings Health. An employee of Horizons is becoming a Board Certified Behavior Analyst. 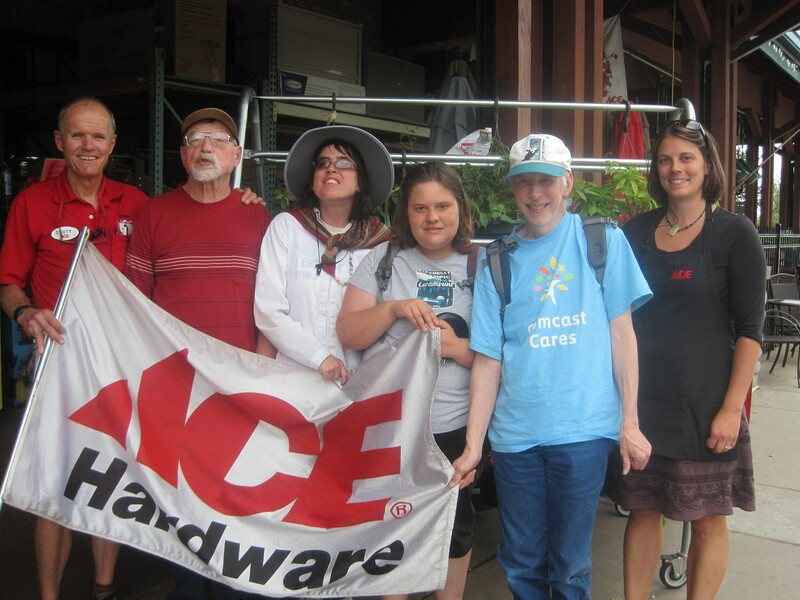 We have maintained a high level of supported employment in Routt County. Opening the Soda Creek Apartments as a 7 bed group home. Identifying needed growth in infrastructure in response to an additional 15 SLS resources, and potential growth in CES and comprehensive programs. Training 30% of our employees in Person Centered Thinking. Upgrading our vehicles with $81,400 in funding from the Colorado Department of Transportation. Updating and/or creating policies and procedures. Improving our system for monitoring agency performance. Improving our use of technology by replacing aging computers and addressing file sharing and security. Development and implementation of an ongoing training plan for current employees. Defining our relationship with the local autism program. Identifying social emotional providers for Early Intervention in each county. Fully implementing the Early Intervention funding hierarchy. Continuing to monitor our budget to ensure that we are limiting growth in expenses and maximizing revenue. Ginny Cannon, our Routt County Day Program Coordinator, was inspired by the Person Centered Thinking training she attended last October at Mountain Valley. After the training, she started exploring some of the resources she learned about from the two Foothills Gateway trainers. She quickly realized there was a lot of great information she could use at Horizons’ day program, Milestones. With help from Tommy Larson and Paula Lotz, Ginny started weekly Person Centered Thinking classes. Tommy found businesses in the community with meeting rooms large enough for our group of twelve learners. Each week the class is at a different location – a bank, the newspaper, an insurance office and more. I went to the class this week which was in a conference room at the Yampa Valley Medical Center. The energy level was high as everyone arrived. Paula started the class by reviewing topics they’ve covered: What things do we like? Who is in our circle of friends? How do we learn? She reminded everyone that it is important to know ourselves and who our team is. People on our team care about us and our successes and challenges. There were two topics this week. The first one was about attitude. Paula asked the group: “If you are having a bad day, how can you get past that feeling? How do you move from I won’t do it to I want to do it to how am I going to do it to I did it?” Jeffrey gave everyone a great example. Sometimes when he goes to the library, they don’t have the DVD he wants. He figured out how to get from I can’t get the DVD to how am I going to get the DVD to I will get it. He decided he would ask a librarian for help ordering the DVD through the interlibrary loan. He did it! Ginny led the group through the second topic about self-awareness. Everyone made a list of things they are good at, things they are proud of, and how others see them. One of the things that struck me is that my lists were generally work related but theirs were about life! Their answers were dancing, reading, music, cooking, asking questions, being a good friend, and standing up for themselves. Jamie told us how proud she is because she volunteers at Soda Creek Elementary reading to students in kindergarten. I’d be proud about that, too, wouldn’t you?